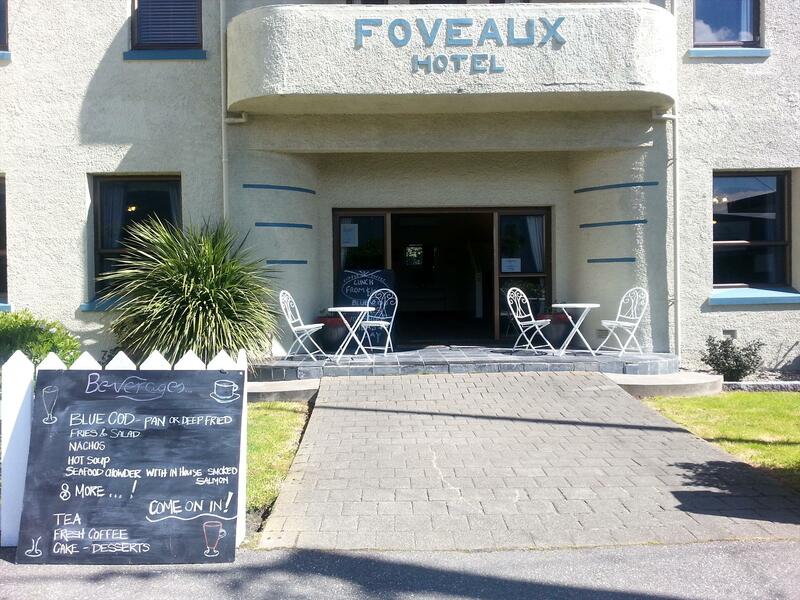 Foveaux Hotel is a small 9 room bed and breakfast art deco hotel located in the middle of Bluff, the gateway to Stewart Island. The hotel has the Captain's Table licensed restaurant on the premises along with free internet, free offstreet parking, guest lounge with 40" TV and tea/coffee facilities and continental breakfast included in the tariff. There are many bush walks and tramps around Bluff which is New Zealand's oldest town and southern most seaport..
Foveaux Hotel is a small 9 room bed and breakfast art deco hotel located in the middle of Bluff, the gateway to Stewart Island. . . . More . . .